Welcome to Kids on The Run! Kids on the Run will be Saturday, May 11th, 2019! Kids on The Run and Kids Marathon* are non-competitive running events for children and young people age 17 and younger. Children can choose from these four distances based on their age and ability; 100M Toddler Trot (ages 4 and younger), Half-Mile, One-Mile and 2K Kids Marathon* event. Read about us in the news, Is your child always racing around? Try Kids on the Run!! 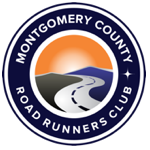 All events take place on the paved trails of Bohrer Park in the City of Gaithersburg. Children do not run on roads. There is a ‘rabbit’ runner who will lead the children in each event. There is a ‘sweeper’ who follows behind for each event insuring everyone makes it back to the finish line. There are multiple opportunities to see and cheer for the runners. Special ribbons for all Toddler Trot and Half-Mile Event finishers! Medals for all One-Mile Finishers! Medals, Awards and Special Prizes for all Kids Marathon* (2K) Finishers! Run one mile on each day of any 25 days between now and May 11th. Have your parents, coaches or teachers record your efforts on the Kids Marathon Running Log. At the Kids on The Run event, run the 2K (1.2 Miles) to complete the Kids Marathon, for a total of 26.2 miles. Then receive your medal, special award and certificate at the Awards Ceremony after you run! Does your school have a group running at Kids on the Run? Please let us know!